SEATTLE – July 7, 2017 – Redhook Brewery today announced the release of Bicoastal IPA, a mash up between a hazy New England IPA and a west coast IPA. The hazy New England-style IPA is taking both coasts by storm. Redhook Brewery has a unique perspective on the trend, having a presence in both Washington and New Hampshire. The Redhook brewing team wanted to highlight the best of both coasts, and after experimenting with the style created Bicoastal IPA, which takes India Pale Ale style cues from both coasts. Bicoastal IPA captures the signature haze, creamy body, and ripe tropical fruit notes of a New England IPA, and blends signature dank hops and rich maltiness found in classic west coast IPAs. The hazy IPA is the first beer in Redhook’s Limited Release Series, which features the best and brightest new small-batch and experimental beers from Redhook Innovation Brewer Nick Crandall’s recipe books. Bicoastal IPA will be available exclusively in Seattle as part of the Redhook Limited Release Series, which is inspired by the counter culture of the city: music, water, mountains, art, coffee, and design. Each beer features original artwork from local Seattle artists. Seattle-based designer, art director, and screen printer Derek Vander Griend created the artwork for Bicoastal, featuring the legendary sea creature, the kraken. Details: Redhook is celebrating Bicoastal IPA with King Street Bar & Oven, who will be giving away pint glasses featuring Bicoastal artwork with the purchase of the beer. Details: Come check out Redhook’s newest IPA and meet Brewer Nick Crandall in the process. Nick will be on hand to talk with guests about everything from Bicoastal to Redhook’s new Capitol Hill Pub and an exciting slate of collaborations in the works to kick off the pub’s opening. Details: Come check out Redhook’s all-new Bicoastal IPA and watch the Sounders take on D.C. United. Tavern 12 will be raffling off Sounders & Redhook gear, and tickets to the next home game on 7/23. Details: Come check out Redhook’s newest IPA and meet Brewer Nick Crandall. Nick will be hand to talk with guests about Bicoastal IPA, Redhook’s new Capitol Hill Pub, and Crandall’s exciting slate of collaborations in the works to kick off the pub’s opening. 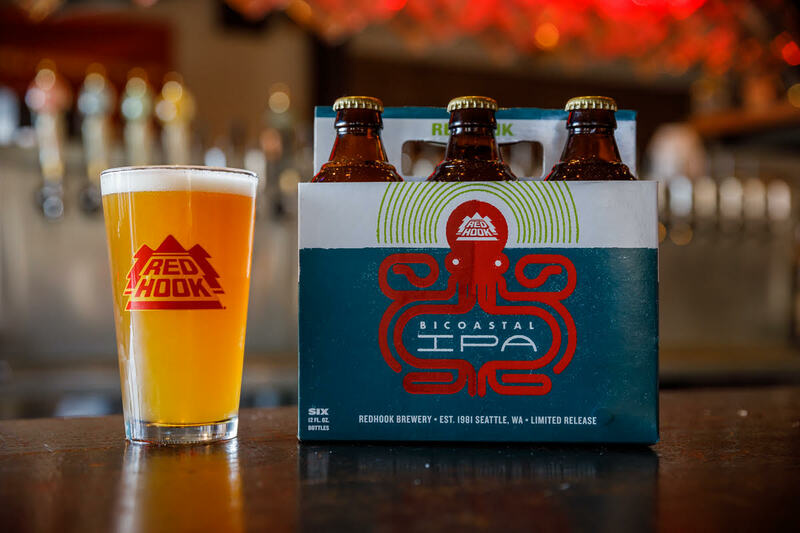 Details: Redhook will be pre-gaming with Bicoastal IPA! Lodge will be raffling off Sounders & Redhook gear, and tickets to the Sounders home game on 8/12 vs Sporting KC. 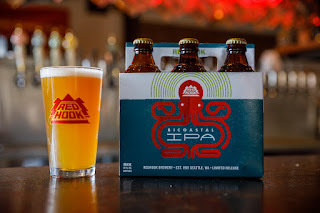 Bicoastal IPA is currently available on draught in the Seattle market, and is now available in Redhook’s newest variety 12-pack, The Hoppy Hook Pack. The Hoppy Hook Pack will be available in the Pacific Northwest, and will feature Bicoastal IPA, Big Ballard Imperial IPA, and Long Hammer IPA. For additional information on Redhook Brewery, visit redhook.com and follow the brewery on Instagram, Facebook, and Twitter. Or, to find Bicoastal IPA near you, visit Redhook’s beer finder: http://www.Redhook.com/find-beer. Bicoastal IPA kicks off the new Redhook Limited Release Series, which celebrates the best and brightest from the innovation brewery at Redhook. A mash up between hazy New England IPA and a tropical West Coast IPA, Bicoastal IPA glows with juicy pineapple and passion fruit hop flavors, and a dank, dry-hopped aroma.